This past summer I spent a lot of time thinking about the concept of Deep Work. 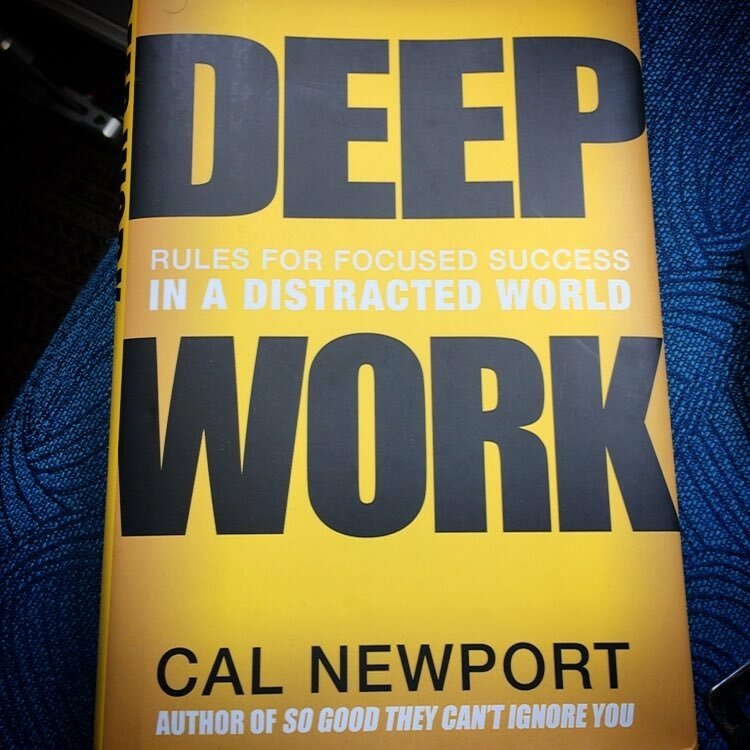 I realized that a lot of my time last year was spent doing what Cal Newport defines as shallow work (tasks that almost anyone, with a minimum of training, could accomplish). I would spend hours working on tasks that really were not helping me meet my goals. After reading Newport’s book last spring I decided that I needed to be proactive about finding time to engage in deep work. The beginning of a new school year seemed like a great time to find this space. Below are four steps that I took to make more time for Deep Work. Monday’s at my school are shortened days. Teachers only teach for thirty or forty-five minute blocks which does not give me enough time to do a proper observation or meet with them. I decided that I would take advantage of this time by spending most of my day in my office working on the tasks that normally ate up my time. By batching a majority of my shallow work tasks into one day I am hoping to have more free time during the week to meet with teachers, visit classrooms, or create content for my teachers. I pruned as many meetings as I could. Instead of meeting with my teachers once a week I now meet with them every other week. This will open up a lot of time in my daily schedule. I have also encouraged other people that I had standing meetings set up with to think about how else we could communicate besides a face to face meeting. Some people are loving the idea of less meetings and some are scared that less meetings will lead to decreased communication. Time will tell about communication but what I do know so far is that my deep work time has increased and my availability for teachers has increased. I set aside time for creating, thinking, and developing. My schedule this year includes two hours a week for creation time. During these two hours I plan on focusing on the numerous ideas that I have written down in my notebook. I have set aside thirty minutes every other week that will be dedicated to thinking about the future. My goal with this time is to create a vision of where I would like to see my teachers go. Finally I have set aside 20 minutes a day to develop my skill set. I preach to my teachers and students that they need to be life long learners so I need to model that by improving my own skill set. I increased my availability for classroom observations and demo lessons. In the past meetings and busy work has kept me from going into my teacher’s classrooms and observing. This year I am going to try something different and have my teachers “book” their observations. My goal is to give them as much autonomy as possible when it comes to observations. I want the observation to be something that’s helpful to them not just something that I get to check off my daily list. I am also encouraging my teachers to book demo lessons so I can model strategies for them. In the past I have done demo lessons on the spot. While that has been helpful, I think that it would be more beneficial for the teachers to see a full thought out lesson instead of my improvised lesson. While I don’t think I will ever create a perfect system I do think that these three steps will help me get closer to my goal of doing the important deep work that will make a positive impact in my student and teachers’ lives.